We can stay open outside posted hours. If you want to come after work or just when its more convienent, please enquire. 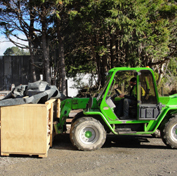 We deliver throughout the Wellington region including south Wairarapa and the Kapiti Coast (as far north as Otaki). 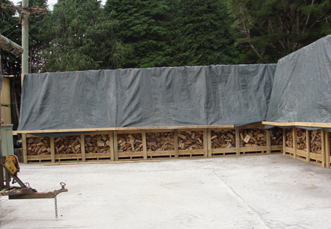 Are you lacking the space to store enough dry firewood each year? 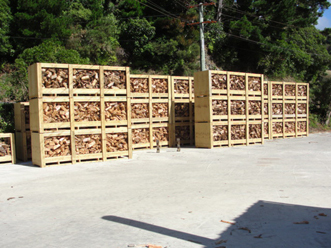 4c/mtr firewood crates specifically designed to store and dry seasoned firewood. We will fill, store, and stack your crate or crates for up to a 6 month period. We will deliver the contents of your crate on your instruction and at your convenience. There will be a one off fee of $85.00 inc gst payable at the time of ordering this service. 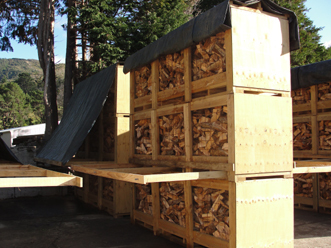 This rents a purpose built Firewood Crate for a maximum period of 6 months. An invoice will be raised at the time of order and a copy emailed or mailed to you so you have a record of the purchase. You will not pay the cost of the firewood in the crate until it is delivered on your instruction no later than 6 months from the date of placing your order. Solving the problem of having enough space to store enough firewood for the whole season. 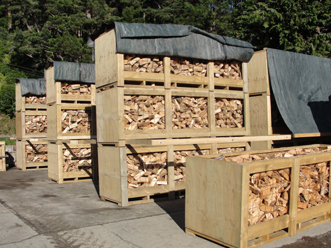 Having your firewood stored professionally, in purpose built crates so that it stays in a premium condition at all times. Knowing that you will have access to dry firewood throughout the whole winter. Being able to advance book your firewood. You can even come and visit your wood if you wish as the crate will be registered to your account number. After 6 months from the date of the order you relinquish the rights to the wood stored in the crate. 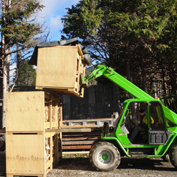 The only cost you have incurred is the $75.00 rental charge for the crate. 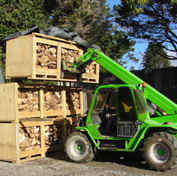 You must have your entire crate contents delivered at one time, or alternatively you may come to the mill and pick up your wood with a trailer and save the delivery cost of the order. We cannot have part crates left for later delivery. If you have a purpose built well ventilated fire wood shed, or store your wood externally under a car port or lean-to, under a house on piles or under a deck, your wood will continue to dry where it is stored. These methods of storage allow wood to keep drying right through winter as any wind or heat is always being used to your advantage. 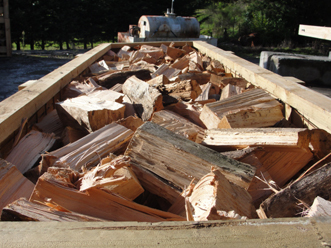 For those storing their wood in closed buildings, you need to be organised early in the season. We always recommend that you stack your wood in single rows outside and down the sides of your storage area if possible. Leave it outside as long as possible while the weather is good. 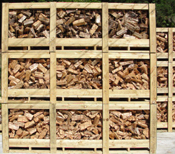 This will maximise the performance of your wood for winter. We appreciate that not everybody is able to do the above. So it is important that when you make contact you remind us of your situation. We will note on your file that your wood must be dry enough to store away immediately. Or we can store wood for you in the storage crates described above to be deliver later in the winter when you require it.